Explaining the basketball strategies, positions, techniques, tactics and rules becomes much more easier and time saving with visual drawings. ConceptDraw DIAGRAM diagramming and vector drawing software extended with Basketball solution from the Sport area of ConceptDraw Solution Park is a very useful tool for designing the basketball-related diagrams of any complexity. It’s equally convenient to draw the basketball diagrams with ConceptDraw DIAGRAM on the both Windows and Macintosh platforms. 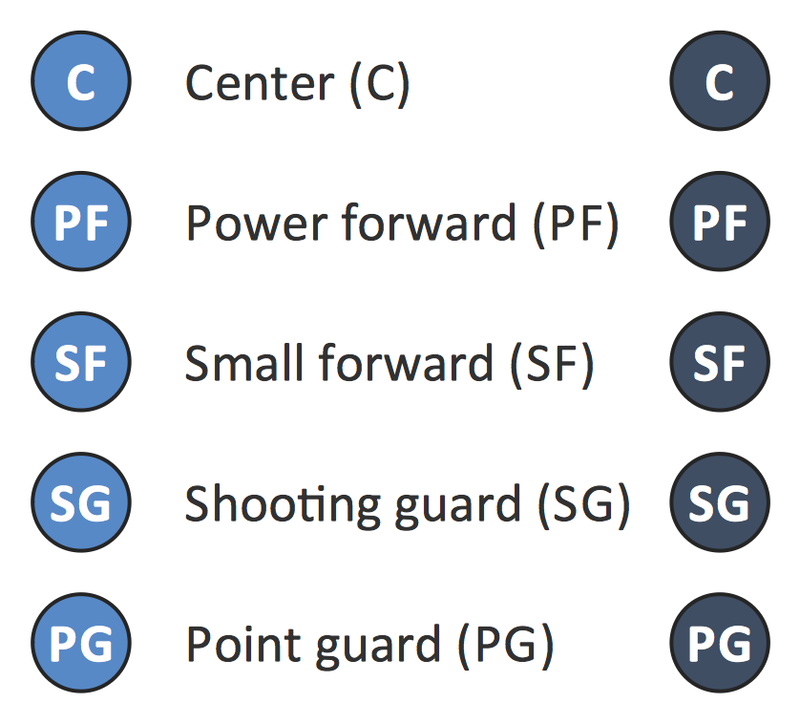 Basketball Positions library contains 12 vector clipart. 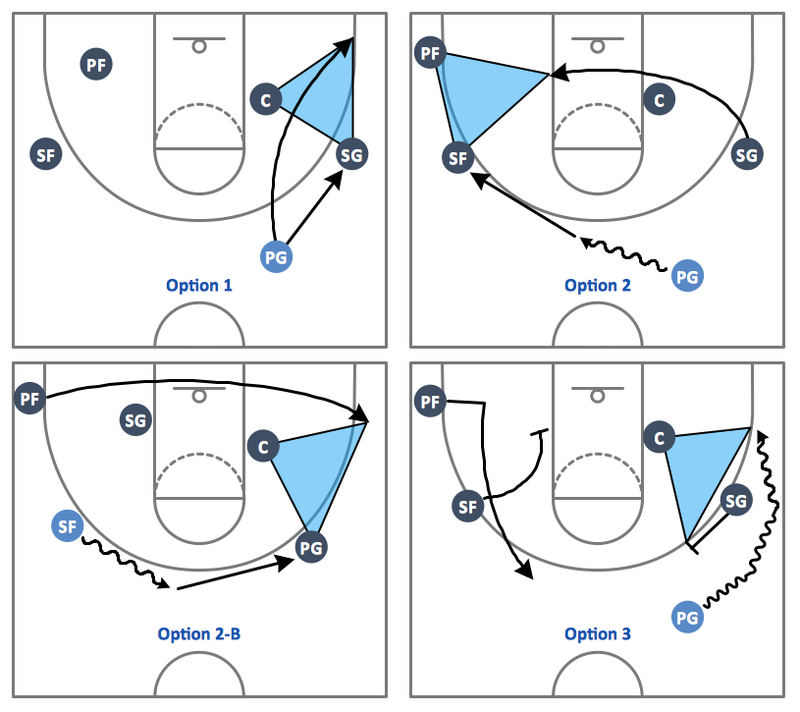 The Basketball solution provides also a wide collection of templates and samples with basketball-related diagrams. You can quickly modify any sample and save it to complete this set. All you need is to drag and drop objects to depict another play and then save with the different name. 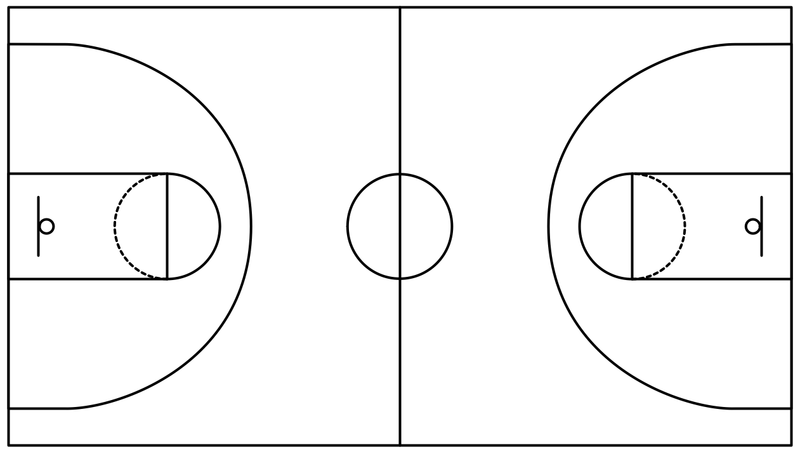 This diagram was created in ConceptDraw DIAGRAM using the "Basketball Courts" and "Basketball Positions" libraries from the Basketball solution. It shows the most popular basketball offense strategy - Triangle Offense. An experienced user spent 10 minutes creating this professional looking sample. This sample demonstrates the solution's capabilities and the professional results you can achieve quick and easy. All source documents are vector graphic documents. They are available for reviewing, modifying, or converting to a variety of formats (PDF file, MS PowerPoint, MS Visio, and many other graphic formats) from the ConceptDraw STORE. The Basketball Solution is available for all ConceptDraw DIAGRAM or later users. ConceptDraw DIAGRAM v12 software extended with the Ice Hockey Solution allows you to draw professional looking ice hockey diagrams in minutes. You can easily customize existing samples or produce you own ones. 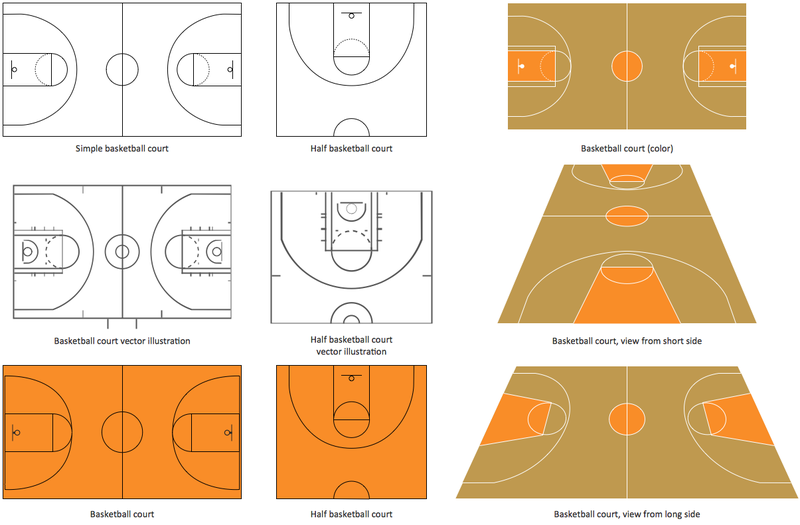 The Basketball solution for ConceptDraw DIAGRAM v12 includes a wide collection of templates and samples to help you draw any basketball-related diagrams and schemas as quickly as possible. All templates are ready-to-modify. You can start from any of them, change positions, add vector clipart from the libraries, text and thus get ready diagram in some clicks.